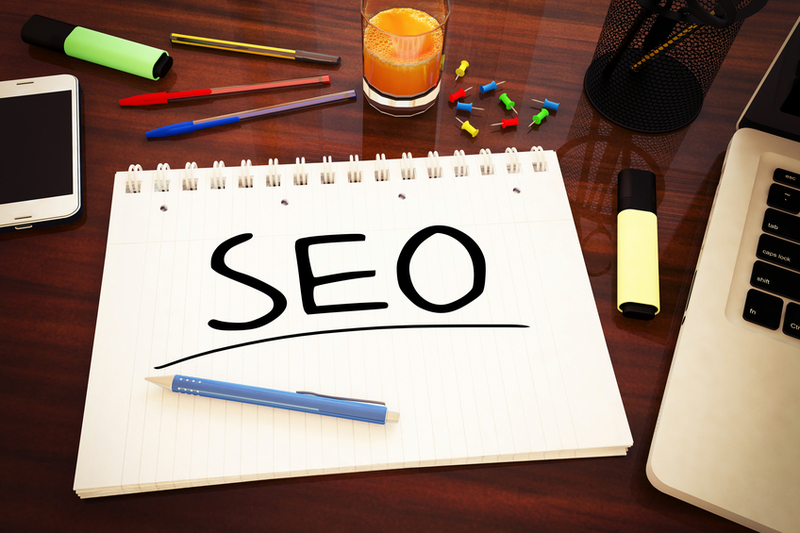 SEO practices have evolved a great deal since the emergence of the Internet. As more and more companies began turning to the Web to build business, SEO tactics were constantly practiced, refined, and readjusted, and some were even abandoned entirely. These outdated, old SEO techniques can be tempting to try when starting out online since they might feel like an easy way to improve search rankings. Ask any SEO expert, however, and you will quickly learn that such methods are only going to end up hurting you. While the following SEO tactics may have made sense at some point in the past, nowadays they are best kept far away. In the early days of Google, the search engine’s algorithms prioritized the presence of keywords in ranking how pages appeared. The more prominent and present a keyword was, the better the ranking. Prevailing wisdom at the time dictated that any given keywords should therefore appear in the page title and make up at least three percent or more of the text. This led to content quality being sacrificed in order to jam as many different keywords as possible onto a page, often producing uninformative and unintuitive garbles that were of limited use to readers. Fortunately, Google’s systems have become more sophisticated and smarter so they can now detect the gist of a page’s topic without direct keywords. Are keywords still important? Yes, they still have an important role, but that role is not as prominent as it once was. If Google deems you to be engaging in keyword stuffing, you can actually hurt your rating. This is exactly what it sounds like: creating keyword-based text or links to your own site that are hidden in the background (literally or metaphorically). This makes them invisible to human visitors, but they can be detected by search algorithms. In a sense, this method can be seen as a stealthier form of keyword stuffing. Hidden text and links are outdated SEO tactics that place more emphasis on appealing to engines than producing something useful to readers. Users are a lot more savvy about old SEO techniques and will respond negatively if you get caught trying to trick them with hidden text. The search engines won’t like it either and will penalize you when hidden text is detected. Search engines like original content. The information doesn’t necessarily need to be new, but the presentation should at least be unique to the given web page. Unfortunately, this can cause problems when your business makes use of multiple landing pages. Multiple landing pages can be important in certain circumstances, such as giving each branch of a company its own page, but you need to be able to make the pages distinct from each other and avoid repetition as much as possible. For the record, Google does not penalize web sites for repetition, but since Google prefers unique content, a site with more original pages is likely to do better than one with too much duplication. Thin content gets noticed quickly by web-savvy users and is rejected quickly. A page’s perceived value comes from how often it is linked to by others, so it seems to make sense that web sites would trade links with each other in order to provide mutual benefit. This betrays the intent of the system, however, since the idea behind a highly linked page is that it got those links by providing value to its readers instead of just entering a quid pro quo agreement. Link exchanges are easily detected by algorithms and web sites will be appropriately penalized when they are found. Sites can and do link to each other, but you should only do this if it makes sense and helps visitors, not just so someone else will toss a link your way. There exist certain article archive sites, like Ezine, that operate by accepting article submissions in exchange for a link back to the author’s site. Back in the day, this was sometimes used in order to get quick links and maybe a bit of extra publicity as people looked over the archive. However, this practice largely ended after Google’s “Panda” update started dramatically penalizing the archives for what was deemed to be link-exchanging activity. Some article archives heightened their standards, others changed their linking policies, and Ezine even changed its links to “nofollow” to remove them altogether from search engine determinations. There simply isn’t value anymore in producing article archive submissions except in niche circumstances. When something has happened to a company and stakeholders such as customers, clients, partners, and regulators need to know about it, a press release is put out. This helps build awareness, leverage relationships, and get the word out through various markets. But press releases without substance or real justification will fall flat. If your business has not actually done anything newsworthy, then trying to throw out a press release commenting on some current event or wishing people happy holidays isn’t going to have much impact. It might not even be accepted by a distributor. A press release only has SEO value if it is something a reporter would actually care about. The premise behind exact-match domain names is to claim URLs for specific key phrases or words and then redirect users who search for them to your main site. If someone, say, looks for “mac chargers,” then they end up with “macchargers.com,” which redirects them to “applehardware.com” or something along those lines. This used to work, but it has started failing as people become smarter web users. Readers are much more skeptical of pages and domain names that reek of marketing, and those include exact-match domains. With users veering away, the URL’s use falls and so does its Google ranking. Most web content nowadays has some sort of social media tie-in, usually in the form of share buttons. There’s probably a set of buttons on this page right now, for instance. Social media is a two-way street, however. If you are going to try to create a company Facebook or Twitter page and want people to talk about you, then you need to actually pay attention to what is being said. Social media can be an incredibly useful way of gathering feedback and understanding your potential customers, so ignoring the signals they send out is only going to hurt you. 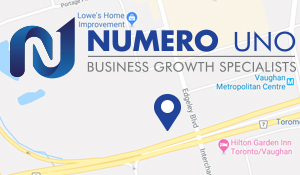 Numero Uno Web Solutions is a premier provider of search engine optimization and web site promotion services for businesses of all shapes, sizes, and industries. Our strategies take into account both the latest developments in SEO and web marketing research along with tried-and-true approaches. Our precise, studied methods have benefited Toronto businesses along with industries across Richmond Hill, Vaughan, and more. Our success has even allowed us to extend our reach and offer SEO services to Texas, Massachusetts, and Florida. For any business looking to improve its online presence, our SEO experts are just a call away at 1-855-SEO-XPRT.